Gnocchi, like fresh pasta, or risotto, is one of those recipes that appears simple at the outset, but actually is quite hard to make well. There are only a few ingredients–flour, eggs, some seasonings, and that’s about it. But understanding how to handle the dough, knowing when it’s ready, not overworking it, these are things that can take a lifetime to learn how to do properly. I will admit to having a bit of a gnocchi obsession since eating Trevor Bird’s pillowy versions at Fable. Trevor gave me some great advice on how to make mine tender, as well, and you can read it here. Still, it’s not something I’ve made as much as I thought I would. It’s quite a bit of work, and at my local market, they often go on sale for less than $2/package, which is when I stock up. But there’s a different kind of gnocchi, which doesn’t involve any potatoes, yams or squash. It’s basically cheese, eggs and flour. I mean, c’mon! How could that possibly be bad?? Indeed, it is not. I’ve made these twice, now, and both times they turned out beautifully–soft and yummy–with a fraction of the work that it takes to make the potato kind. In a large bowl, whisk together the ricotta and eggs. Add the cheese, nutmeg, and 1/4 teaspoon each of salt and pepper. Depending on how thick your ricotta is, you may want to use a handmixer for this part. Otherwise, you can use a whisk. Add flour in 1/4 cup batches, stirring to form a soft, wet dough. When the dough starts to come away from the edges of the bowl, it’s ready. Place it aside for about 20 minutes to rest. Take half the dough and heavily flour your working surface. Form the dough into a rope, and roll it out, until it’s about 1″ thick. Cut 1″ pieces out of the rope. Toss each piece on to a well-floured cookie sheet, and you can toss them around in the flour a little, as well, to make sure they don’t stick together. Bring a large pot of salted water to a boil. Toss the gnocchi in, one at a time, until you have 20 or so in the pot. Give it a good stir, then let it go until the gnocchi rise to the top. Give them another minute, then remove them from the boiling water with a slotted spoon to a colander. Continue in batches until they are all cooked. In a large, non-stick skillet, heat the butter, then toss in the individual sage leaves. Add the gnocchi (you may need to do this in two batches so as not to overcrowd the pan), and season well with salt and pepper. 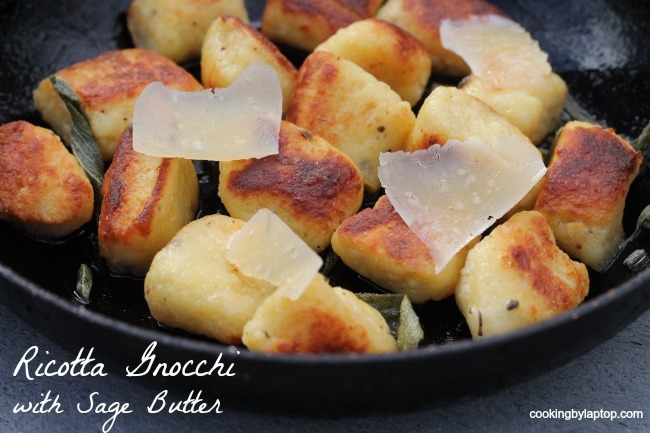 Gently toss until the gnocchi are slightly brown and caramelized on the outside. 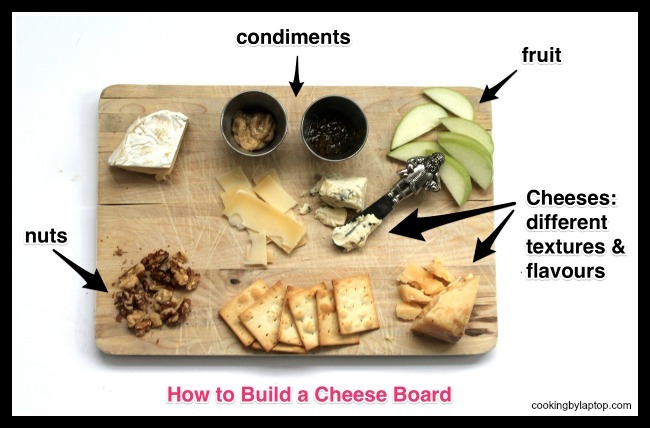 Serve in a bowl with additional gratings of cheese. PS. 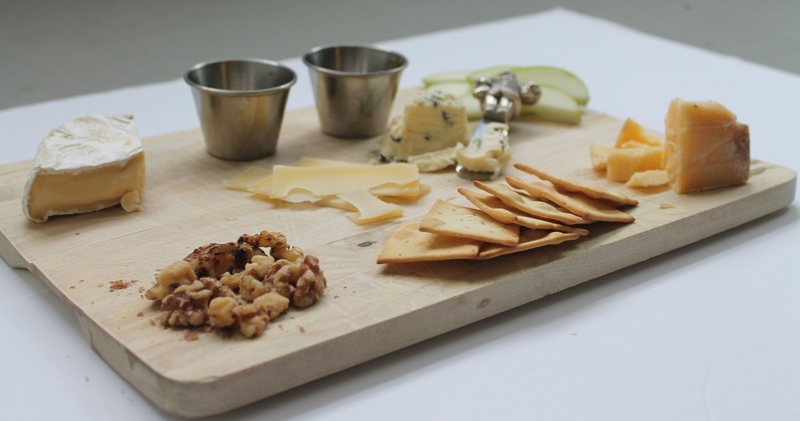 You can win the Mountain Oak and four other kinds of Canadian Cheese by entering the #SimplePleasures of #CDNCheese Contest.